Tracksmith To Host Next VDOT Clinic Featuring Olympian Lynn Jennings | Run S.M.A.R.T. This year’s setting is historic Back Bay, Boston home to Tracksmith’s first retail store – the Trackhouse – launched in the spring of 2017. The Trackhouse is located at 285 Newbury St. and is not just designed to showcase the brand’s collection it’s a community hub for runners, featuring a running lounge, live race streaming, running groups and a library. Tracksmith in an independent running brand offering well-considered and authentic products for training racing and recovery. “We haven’t been this excited about the clinic since we launched it back in 2015. To be in Boston and hear Lynn share her athletic story where she won World XC Championships, and at such a unique venue like the Trackhouse is pretty special,” says founder Brian Rosetti. The VDOT Coaching Clinic launched in March of 2015. To date, over 500 coaches from over 10 countries have attended the clinics. In addition to learning Dr. Jack Daniels’ exercise science principles coaches will have the opportunity to boost their resume’s by becoming an official VDOT Certified Coach. 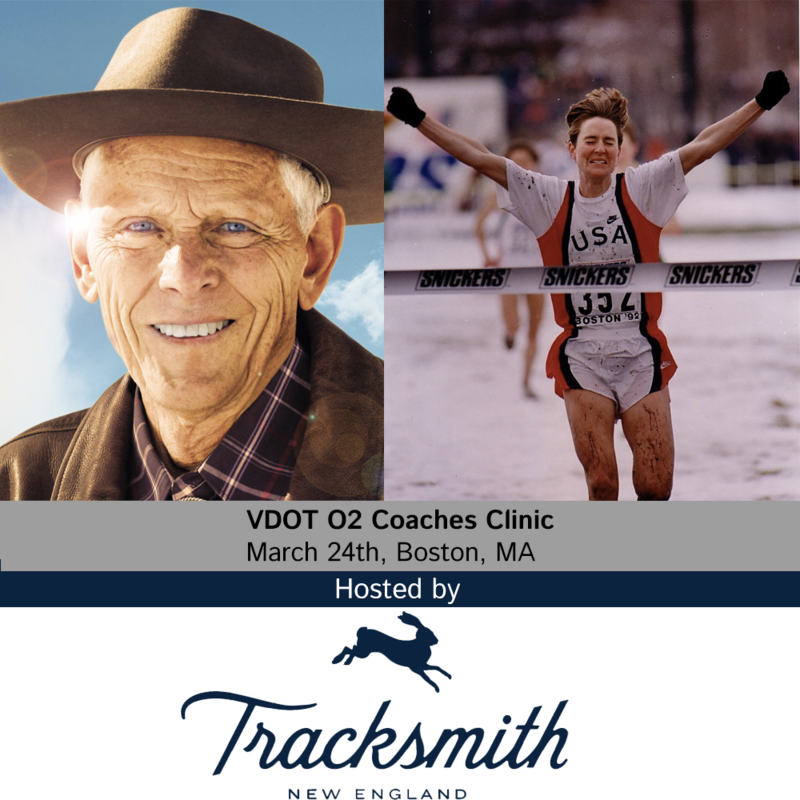 For more information and to register for this event please visit: Dr. Jack Daniels’ VDOT Coaching Clinics (limited space available). "Run SMART Is The Best Decision I Have Made Since 2015"